The management of Obafemi Awolowo University (OAU), Ile-Ife, has described the poisoning of its dam by suspected hoodlums as an act of genocide against members of the institution. 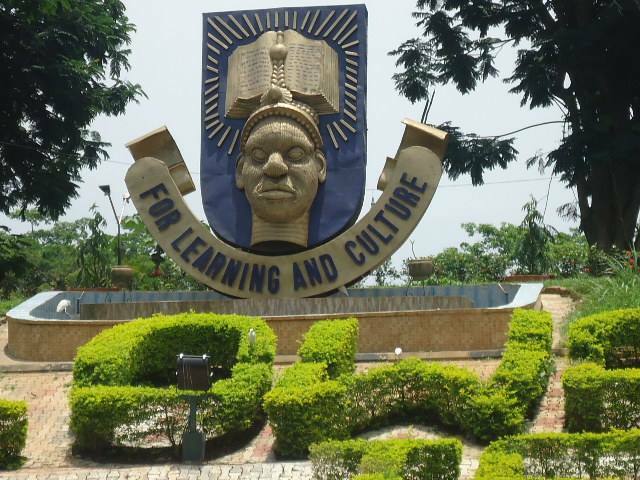 Recalls that some aggrieved indigenes of Ile-Ife, who claimed ownership of some portions of the university land, had on April 3 invaded the university and allegedly poisoned the institution’s dam with a chemical. Mr Abiodun Olanrewaju, the university’s Public Relation Officer, who conducted journalists round the disputed land and the dam within the school’s premises, on Wednesday, said the poisoning of the dam was genocidal. Olanrewaju said the chemical used in poisoning the dam, which was the only source of water for the university, killed all the aquatic animals in it. He, however, said that the dam had been treated and was now safe to drink. “The act is condemnable and wicked. They came through the Parakin area of the town to poison the dam but God was so good to us that immediately the dam was poisoned, rain fell for two days which washed the poisonous chemical away. “We have treated the water and laboratory test had been done on it and now it is very safe to drink”, Olanrewaju said. Olanrewaju also said the disputed land belongs to the Federal Government, adding that the university was not ready to concede it to anybody. According to him, the land which is about 162 hectares was given to the university in the 60s by the then Ooni of Ife, Oba Adesoji Aderemi. He said the land grabbers had started selling some portions of land to the people while construction workers working on the proposed OAU International Secondary school on the land were chased away with cutlasses and other dangerous weapons by the hoodlums. Olanrewaju said three blocks of hostels built for students on the said land were abandoned due to attacks by the hoodlums. “For the safety of our children in the university, the vice-chancellor instructed us not to allocate any of 360 rooms newly built hostel to them. ” The vice-chancellor has also instructed our security men not to retaliate but it is not possible for anyone to invade Federal Government land for personal gain because the land is gazetted. “We have informed the police and other security agencies and we believe they will act accordingly. “We have also informed the Ooni of Ife, Oba Adeyeye Ogunwusi, and Ife Development Board, ”Olanrewaju said. He, however, said that anyone who was ready to use any portion of the land for the generality of the people and not for personal gain could approach the university for consideration.